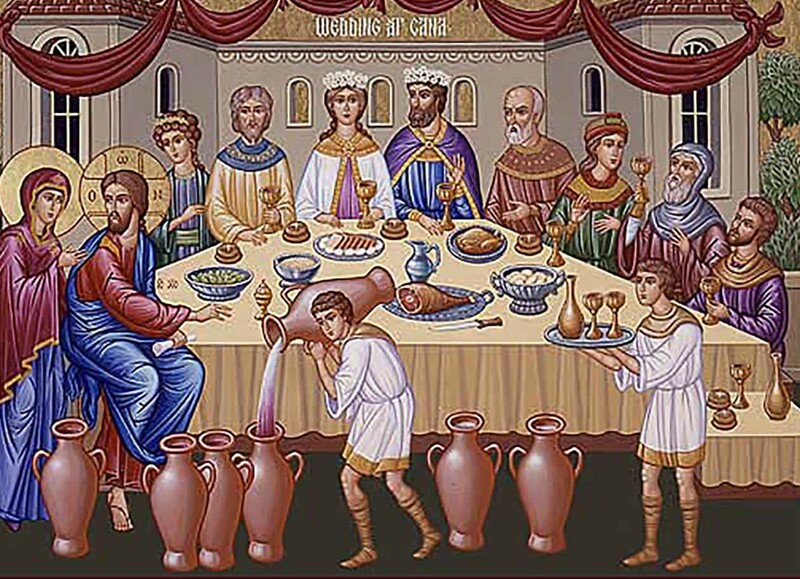 Stewardship Bulletin Reflection: January 20, 2019 - Catholic Stewardship Consultants, Inc.
Today’s Gospel reading from John recounts the familiar story of the wedding feast at Cana when Jesus launched His public ministry by performing His first miracle at his mother’s request. In the midst of the feast, the Blessed Mother noticed that the wine had run out and pointed out the problem to Jesus. Then, she gave the servants instructions that are equally applicable to us modern-day stewards, saying, “Do whatever He tells you.” Jesus gives the servants a simple and seemingly mundane task, telling them to fill some stone jars with water. They did what He told them to do. And Jesus used their obedience in the accomplishment of that simple task to perform His first miracle, turning the water into the choicest wine. Our Lord didn’t have to include those servants in order to perform this miracle — He chose to. And today, 2,000 plus years later, He still chooses to include us in the performance of His miracles through our cooperation with Him in using the gifts and talents He has given us. What a privilege! Let us take care to listen to our Blessed Mother: let’s examine our lives this week to see if we really are “doing whatever He tells us,” cooperating with God to make the best use of the gifts He has given us for the benefit of those around us. If we all take this call seriously, He will perform miracles in our families and our parish.